Located across the Strait of Georgia from Vancouver, Vancouver Island is Canada’s friendly frontier. The adventurous isle is home to a wealth of top-notch restaurants worth exploring after a day salmon fishing, bear watching, or kayaking. From Victoria on the eastern end to Tofino to the west, chefs are utilizing the bounty of the surrounding seas, the forests, and the fields to create modern Canuck cuisine that has North American roots but takes plenty of inspiration from the rest of the world. Here are 10 top restaurants on Vancouver Island to try. Executive chef Paul Moran crafts creative small plates that benefit from the bounty of the island and its surrounding waters. Think local snap peas lavished with soy sake dressing and topped with threads of dried seaweed, steamed clams, and mussels seasoned with herbs harvested from tidal pools, albacore tartare dressed with gochujang and sea asparagus, and an indulgent white pizza featuring golden chanterelles from the forests nearby. Bonus: If you go fishing and get lucky, the kitchen is happy to prepare your catch. Make a reservation at 1909 Kitchen. 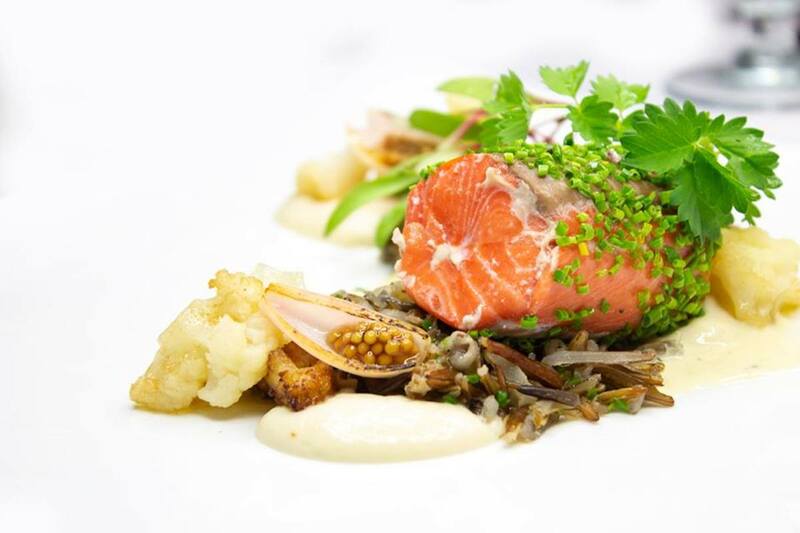 Chef Robert Cassels’s tasting menu gives guests a deep dive into his French-minded cuisine with modernist twists. Expect plenty of local flavors. Dishes might feature halibut from the nearby Haida Gwaii archipelago, Cowichan Valley chicken, and wild elderberries and chanterelles from the island’s backwoods. Optional wine pairings come from the Old World and British Columbia, while the beverage program features local ciders by Lonetree, Tod Creek, and Merridale. Make a reservation at Saveur. The tasting menu experience (three, four, or seven courses) is the best way to lose yourself in this artful menu featuring a cascade of local ingredients. 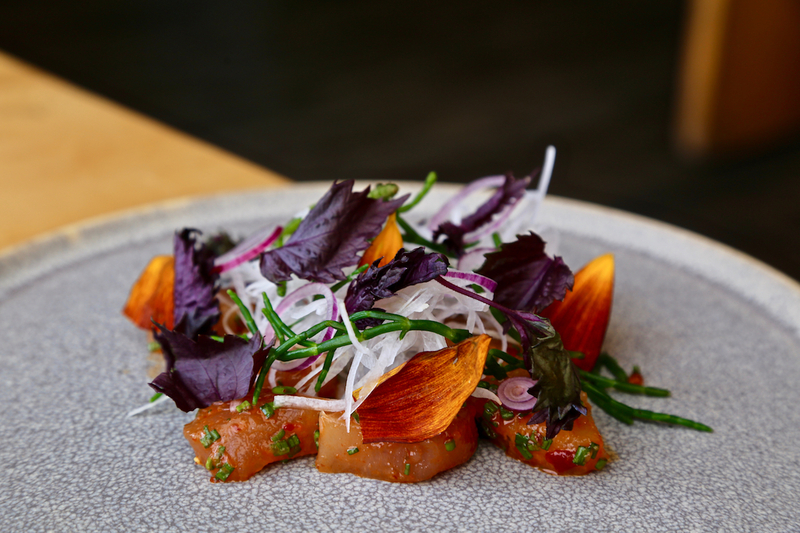 The restaurant’s three-acre certified organic garden is home to over 200 herbs, greens, vegetables, and edible flowers, which all figure prominently in the dishes. Wild edibles, fresh seafood, produce, and proteins from elsewhere on and around the island are given equal attention. Meals might include Fanny Bay Kusshi oysters, locally foraged golden chanterelles, and rhubarb from nearby Whiffin Spit Farm. As you eat, you get a real sense of the place since the dining room features expansive views of the ocean and the majestic property. Make a reservation at Sooke Harbour House. The Fernet Branca-stained bar and its offerings are the center of attention at this genteel watering hole, but there’s a lot to love about chef Gabriel Fayerman-Hansen’s elevated pub fare. There are plenty of small bites that go down well with a cocktail or two – truffled fries, smoked olives, and freshly shucked oysters – but stick around for dinner and you’ll be richly rewarded. The house burger topped with onion bacon jam and smoked Gouda is a winner, as are corn risotto and barbecue beef ribs glistening with rum-allspice glaze. Make a reservation at Little Jumbo. Put your pinky out, it’s time for high tea. With stunning views of Jennie Butchart’s private garden or the Italian Garden and the sea, this is a tea service to remember. 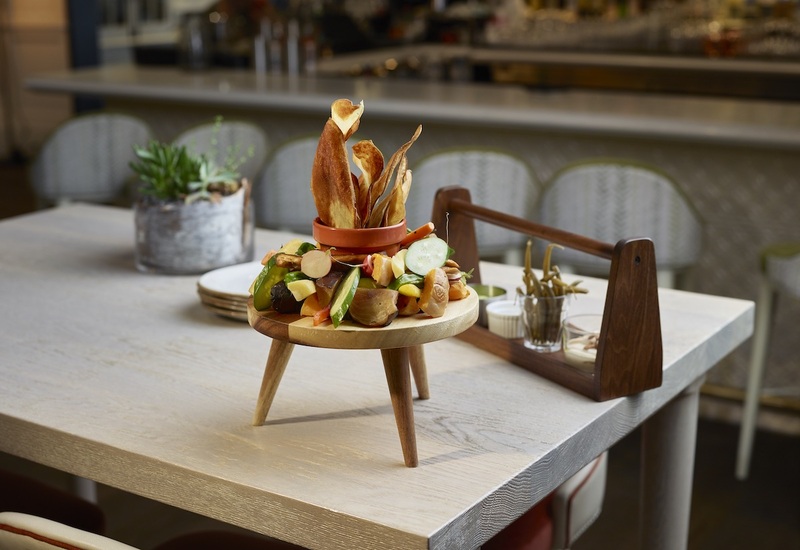 The sprawling spreads feature savory and sweet bites – from sausage rolls, salmon chowder en croute, and dainty cucumber and pickled ginger cream cheese sandwiches to vanilla peach cake, Bergamot-infused chocolate mousse, and lemon tart. There’s something for everyone, and no one leaves hungry. Make a reservation at The Butchart Gardens. Nestled in the woodlands of the Malahat ridge, the Italian inspired farm-to-table eatery looks down on the Instagram-worthy Saanich Inlet. 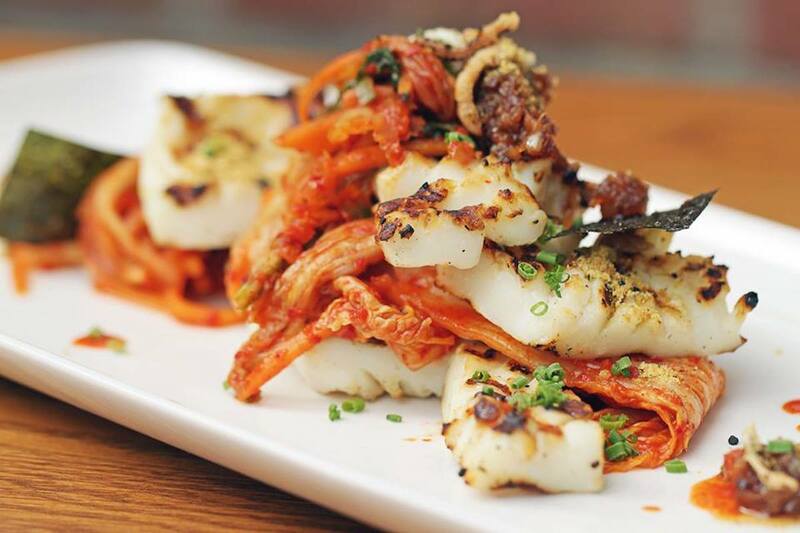 Local elements are menu highlights –including plenty of seafood – while the wine list is rich with regional varietals. Overall, there’s a DIY attitude in the kitchen. Breads, pastas, and ricottas are made in-house. Desserts include creative sorbet and gelatos, such as daylily, and dense Black Forest cake that will send any chocolate lover into paroxysms of joy. 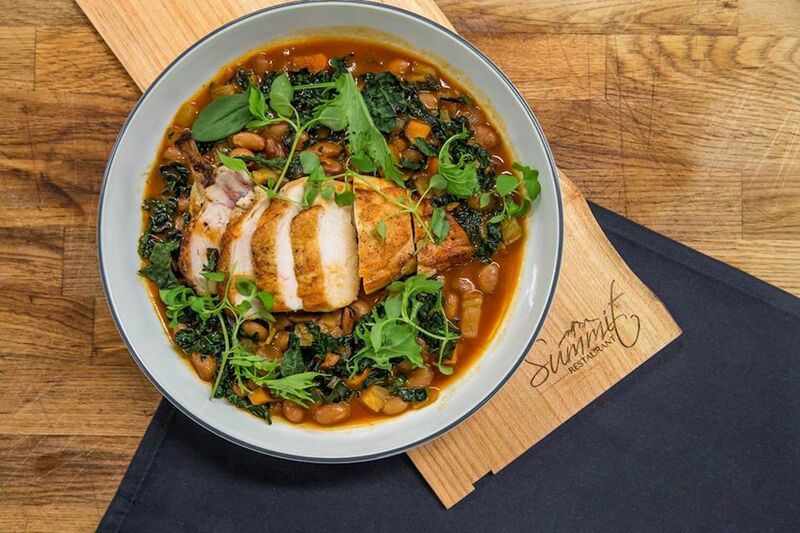 Make a reservation at Summit. 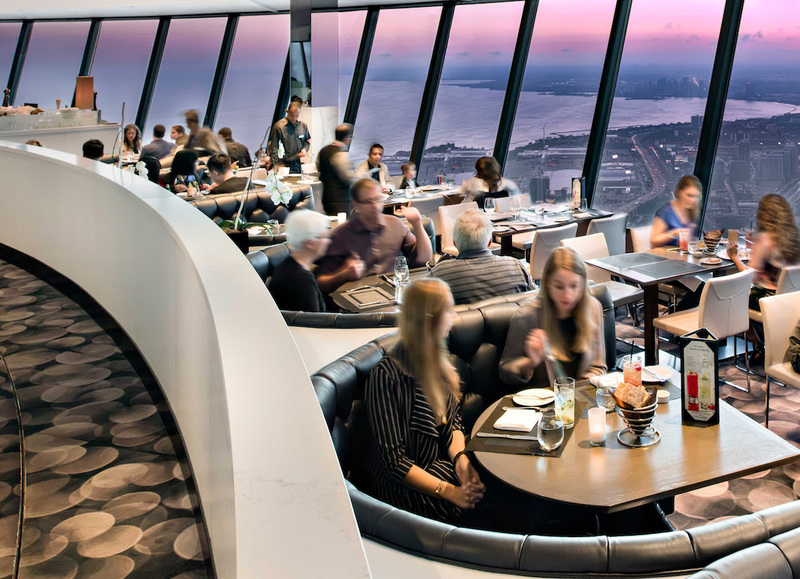 British Columbia’s largest city boasts an award-winning dining scene, which draws on myriad culinary traditions and utilizes the rich bounty of the surrounding lands and waters. When locals have a night off, where do they like to go? These top Vancouver restaurants span neighborhood gems to haute cuisine, but they all have one thing in common: they serve up some of the best food in town. The sleek ‘n’ chic stunner inside the Rosewood Hotel Georgia is a scene setter and a scene-stealer. Executive chef David Hawksworth – the youngest chef ever inducted into the B.C. Restaurant Hall of Fame – presides over a modernist menu grounded in classic techniques. 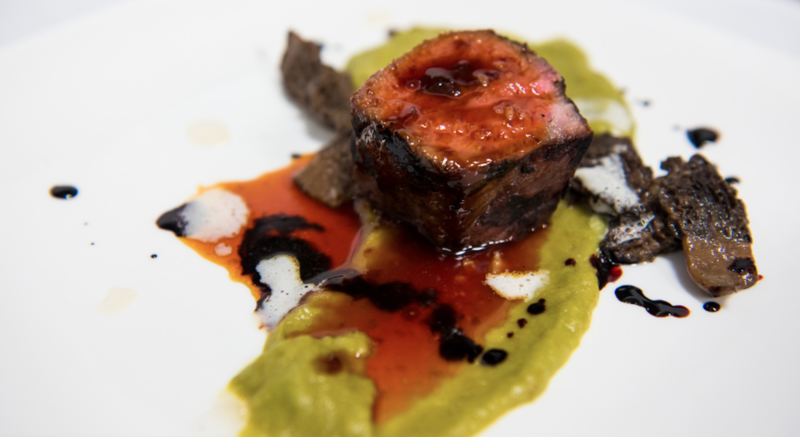 The hyper-refined fare could be called contemporary Canadian, but expect flourishes of Italian and Japanese influence – such as lobster tail with squash and mushroom agnolotti and black truffle as well as black-peppered tuna tataki with mushroom dashi. 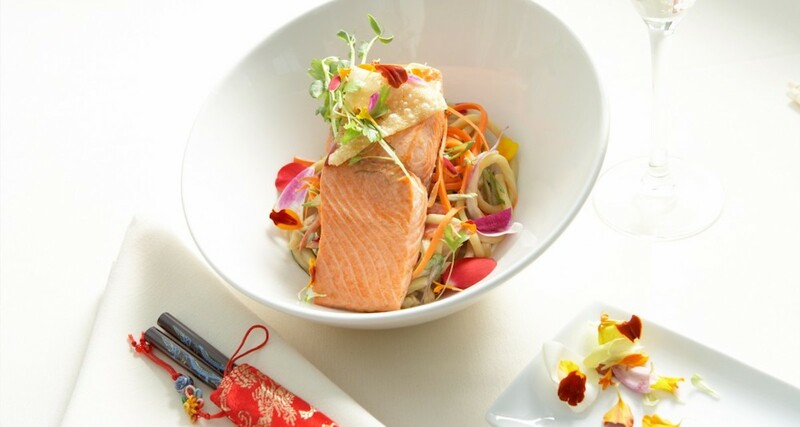 No matter what the inspiration, dishes are forged from in-season produce and local products. 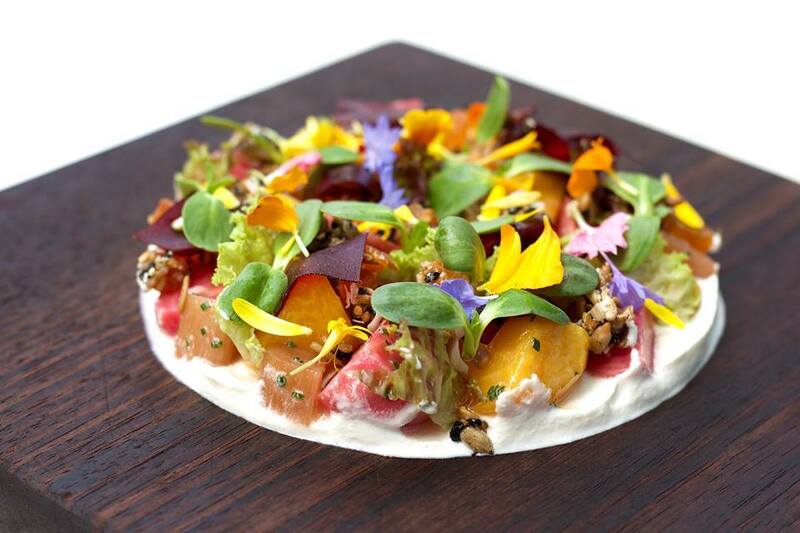 Make a reservation at Hawksworth. The original location of this stunner from restaurateur Elizabeth Blau and her husband, chef Kim Canteenwalla resides in Las Vegas. This outpost sits inside the Parq Vancouver, where it sprawls over enough floor space to accommodate 300 seats. The restaurant specializes in eye-popping comfort food that is equally appetizing and Instagrammable. Prime examples are the Market – a blossoming bouquet of fresh veggies, pickles, and sweet potato chips accompanied by mini Mason jars full of dips, such as goddess dressing and cauliflower hummus – and the humungous slab of Society Cake sporting generous layers of banana and chocolate mousse. Make a reservation at Honey Salt. The restaurateurs behind this locally loved seafood joint in the Kitsilano neighborhood have already been successful with Tavola and Nook. Their latest venture is flavor-focused and never fussy. 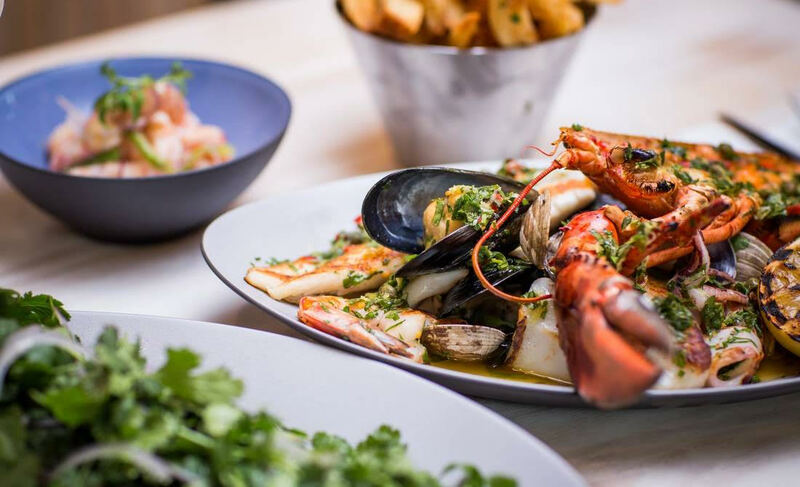 Take the Seafood Hot Mess, a mélange of deep water delights cooked a la plancha, including half a lobster, mussels, clams, squid, scallops, prawns, and more, which comes with a side of verdant salsa verde. If that’s too much of an undertaking, let the chalkboard be your guide. It lists the day’s catch, which is mostly sustainably and locally sourced, as well as a few veg sides that have just as much oomph and just as little pretension. Make a reservation at Oddfish. 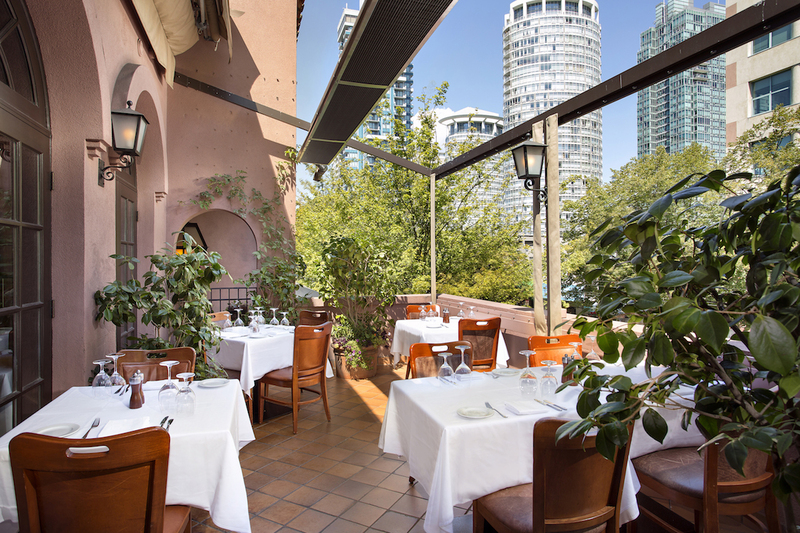 A curling terracotta stairwell leads diners up to this high-end, white tablecloth Italian restaurant in downtown. Executive chef Andrew Richardson presides over a menu broken down into first (small bites, salads, and soups), pasta and risotto (don’t miss crab and sea scallop ravioli in lobster-tomato broth), and mains. For the latter, make sure to explore the options cooked on the wood-fired grill, such as prawns grilled on a rosemary branch, pork tenderloin cooked over the coals and served with kumquat mostarda and butternut squash, and grilled chicken with truffles, sage, chestnuts, and gnocchi. Whatever your selections, there’s a beyond-impressive wine list to complement your meal. 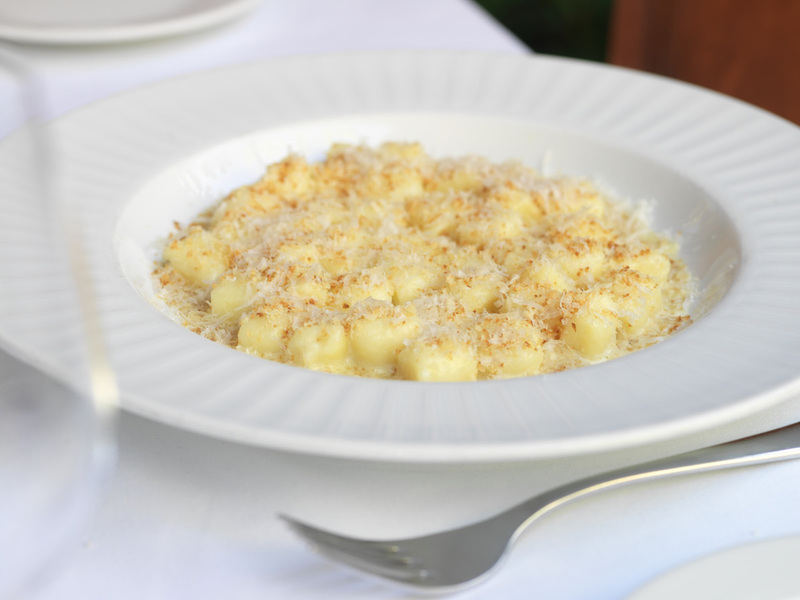 Make a reservation at CinCin Ristorante + Bar.